The Black Friday Sale is now on! You can save up to £59 on your subscription - order now with code FRIDAY25. International Journal of Palliative Nursing (IJPN) is been committed to sharing best practice and clinical excellence in palliative and hospice care. It is now established as the leading journal for nurses working in this most demanding profession, providing them with the help they need to help others. 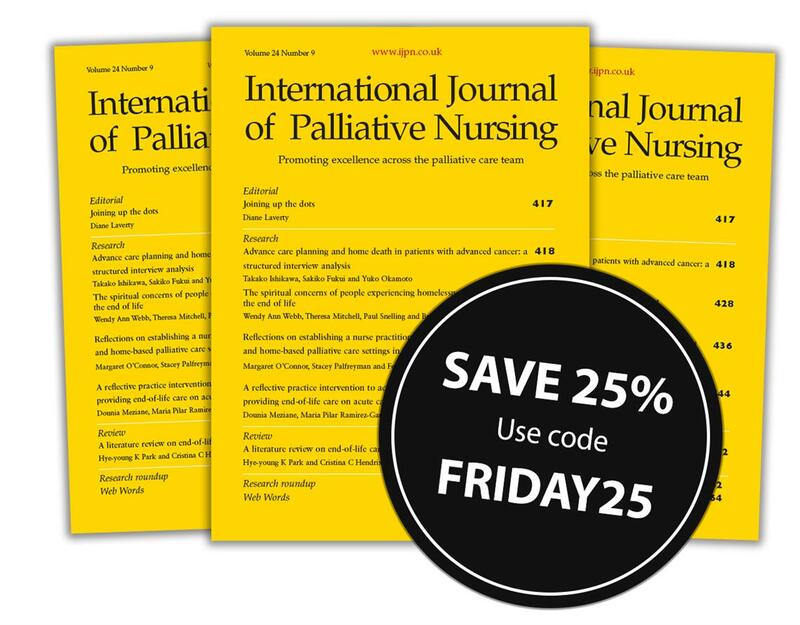 The journal addresses all aspects of palliative nursing with an unparalleled range of clinical and professional articles, that promote future learning and the delivery of first class care.